Packing by Faith…My Latest Adventure. | C'est La Vie -This is Life! Packing by Faith…My Latest Adventure. I sit at my desk surrounded by boxes packed and waiting to be sealed up. I am planning on moving after 13 years at my apartment in downtown San Carlos which has been both a blessing (location) and curse, facing many trials. But in my prayer time, the Lord finally whispered to me its time to move. “Where, Lord,” I have petitioned Him over and over. My heart has been to go to Paris and finish my book by writing the ‘afterward’ at a cafe where famous writers have written their best sellers, such as Hemingway. I have wanted to go to walk the Siene river and paint where Picasso and Monet painted. It has been my dream trip and a door I believe the Lord will open for me soon. My heart is also in Lancaster, Pennsylvania, amongst the quiet lifestyle of the Amish and farm country. Visiting four years ago, I feel in love with the people and the fall season of leaves turning red, yellow and orange, so unlike here in Northern California. I have desired to marry, to quilt, make my own soap, sew my future children’s clothes and get fresh milk from the dairy. I know it is a dichotomy to want to live in France and the Bible Belt of America. But those are the two sides of me. God is good that way. He plants the desires of our heart and then gives them to us. Often waiting a VERY long time, as I have, for my dreams to come true. “How will you survive the long, snowy winters, Miriam? my friends ask. “Hopefully with a break and trip to Palm Springs desert,” I reply laughing. So I began to pack up my apartment, not knowing the next step as to where God will first lead me, but I know He will. Over and over He gives me the Scripture “Trust in the Lord with all your heart, and lean not on your own understanding, in all your ways acknowledge Me, and I will direct your paths.” (Proverbs 3:5-6). I know he can do more than I ask or imagine, including bringing the resources I need to move; finances, home, plane ticket. I am trusting Him by faith. Sometimes God asks us to take that first step of faith, even though it seems strange or crazy to others. After all, my relationship is with Him and I strive to be obedient. He knows the plan and the future, and that it is good. 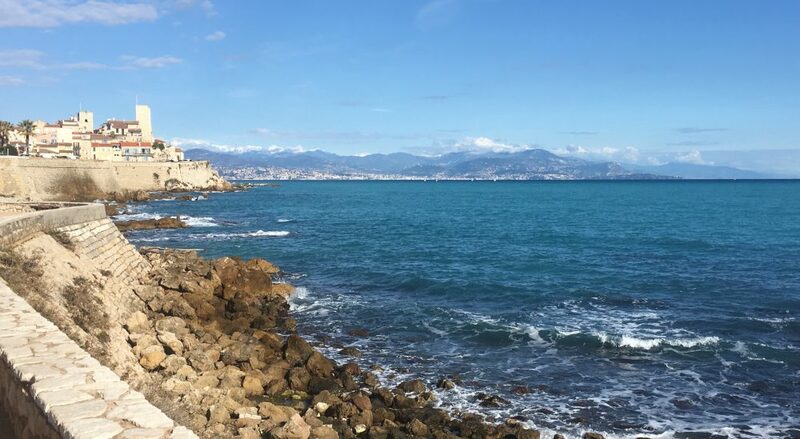 “I know the plans I have for you, says the Lord, plans to prosper you and not to harm you, to give you hope and a future.” (Jeremiah 29:11) Stay tuned for my destination in my next blog post! What step of faith is God asking you to take today? Leave me a comment and let me know! 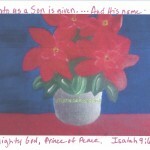 To see my Thanksgiving and Christmas greeting cards with Scripture, see ‘my art’ above or www.giftsofhisglory.com. Special price on bundle of 6 cards! They make great gifts too! 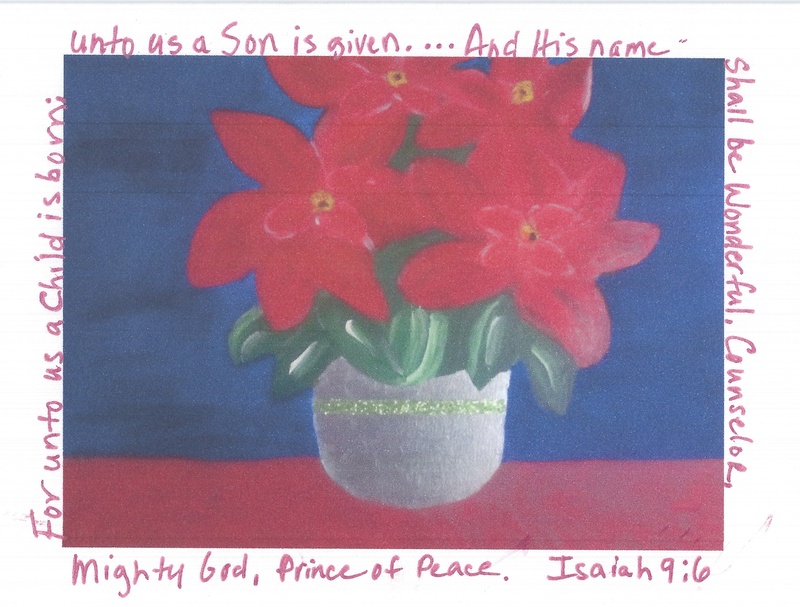 This entry was posted in art, book, Christian faith, travel, wrting journey and tagged being saved, christian art, Christian greeting cards, chrsistmas cards, GIfts of His Glory, Jeremiah 29:11. Proverbs 3:5-6, jesus, Lancaster, miriam sarzotti, moving by faith, moving to Paris, notecards, PA, scripture art, scripture cards, thanksgiving cards, trusting God by miriam. Bookmark the permalink.